On December 2013, the team traveled to Rio de Janeiro to carry out tasks for different projects, amongst which was the verification of a scientific tidal model for Guanabara Bay, using EasyCurrents empiric measurements in contrast with a current model provided by Tidetech for December 6th 2013. 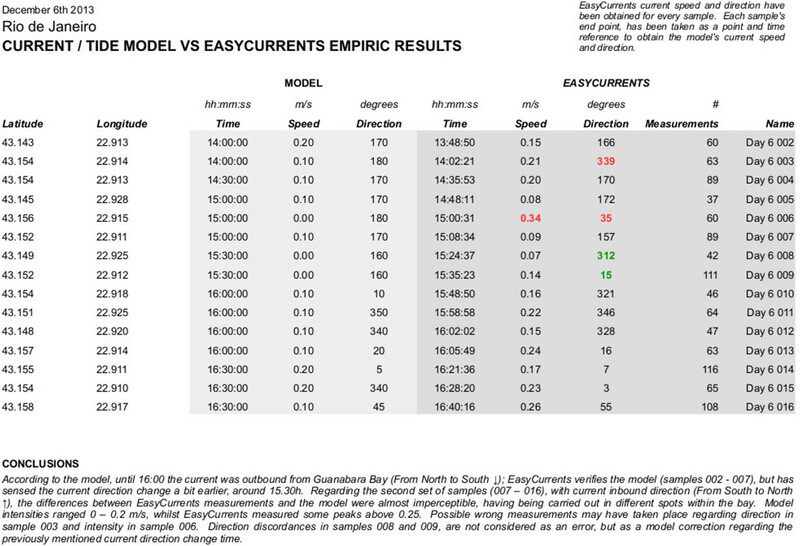 We have analysed EasyCurrents’ samples results, and have compared them to the model’s values at given times and coordinates. The conclusions have been very satisfactory as the measurements have highlighted an excellent precision for EasyCurrents sample results, which have verified the model, and even corrected a time-frame mismatch. More information regarding the campaign’s data and results. 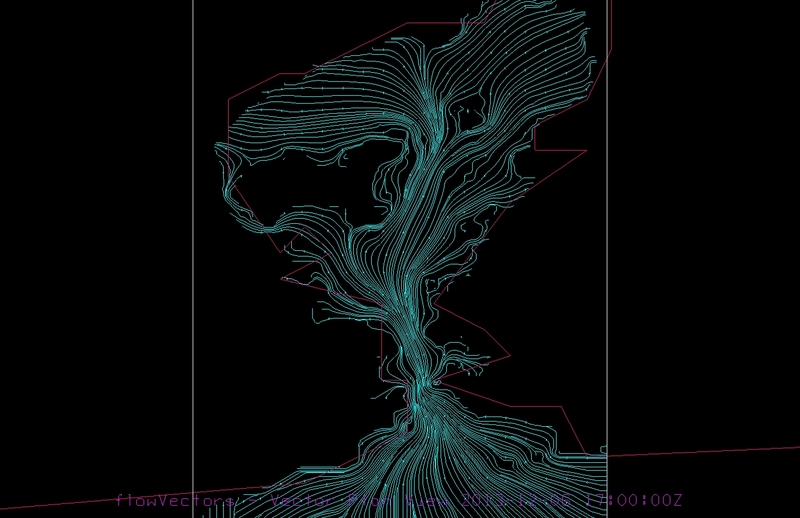 Current Streamlines at Guanabara Bay. Image created with IDV.